Auberon Herbert (1838–1906) is an eloquent, forceful, and uncompromising defender of liberty—indeed, in the judgment of Richard M. Ebeling he is “one of the most important and articulate advocates of liberty in the last two hundred years.” Herbert was a major participant in the profound and wide-ranging intellectual ferment of the late Victorian age. 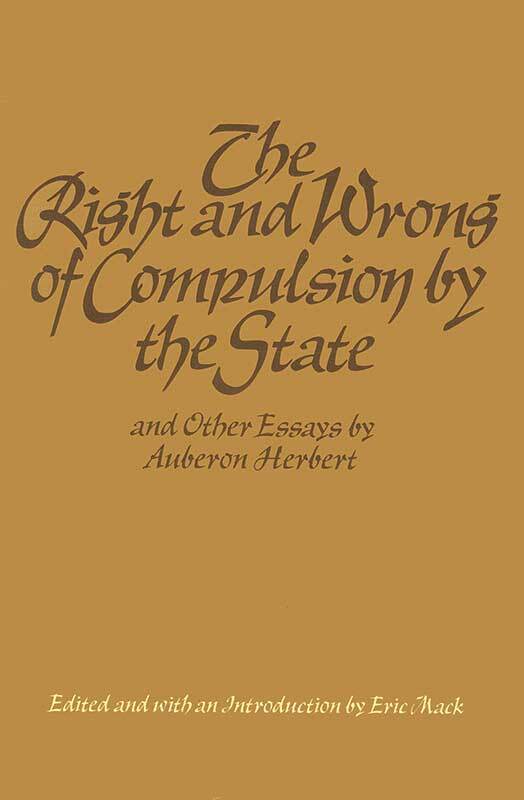 He formulated a system of “thorough” individualism that he described as “voluntaryism.” To Herbert, “you will not make people wiser and better by taking liberty of action from them. A man can learn only when he is free to act.” As Eric Mack writes, “Carrying natural rights theory to its logical limits, Herbert demanded complete social and economic freedom for all noncoercive individuals and the radical restriction of the use of force to the role of protecting those freedoms—including the freedom of peaceful persons to withhold support from any or all state activities.” There are ten essays.